If your car gets swarmed by zombies, would you know what to do? While that question may seem far-fetched, car safety is an integral part of ensuring every little vampire and mummy gets home safely after trick-or-treating. * Slow down and be especially alert in residential neighborhoods. 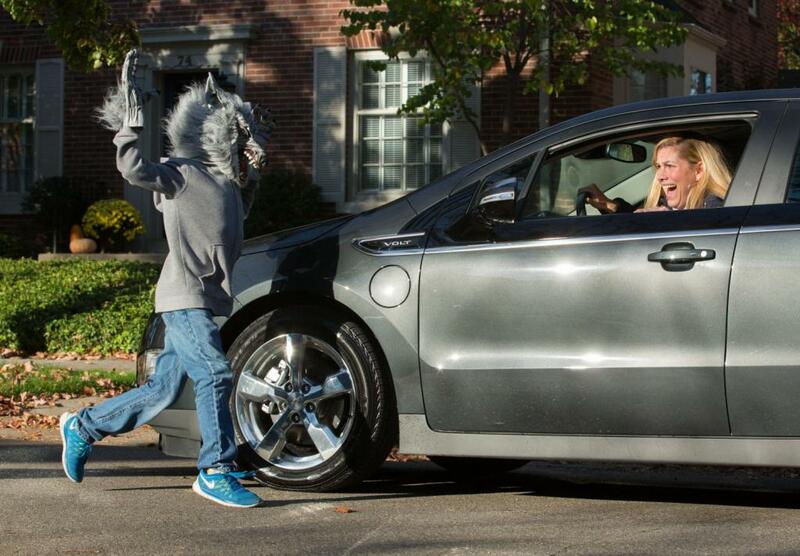 Children are excited on Halloween and may move in unpredictable ways. * Take extra time to look for kids at intersections, on medians and on curbs. * Enter and exit driveways and alleys slowly and carefully. * Eliminate any distractions inside your car so you can concentrate on the road and your surroundings. * Drive slowly, anticipate heavy pedestrian traffic and turn your headlights on earlier in the day to spot children from greater distances. * Popular trick-or-treating hours are 5:30 p.m. to 9:30 p.m. so be especially alert for kids during those hours. ← Previous Story By 2020 no one should be killed or seriously injured in a new Volvo car.